Darjeeling tea is often referred to as the Champagne of Teas. 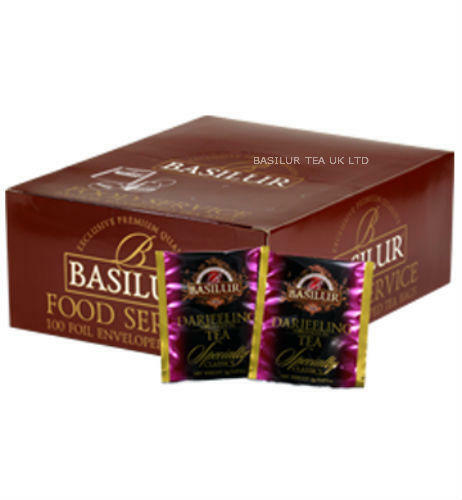 This tea is lighter and less astringent than most black teas, but more layered and less complex than most greens, with a unique muscatel flavour and exquisite bouquet. Grown in the 'high grown' foothills of the Himalayas of India. From the high grown elevations of India. Pure black tea, with no additives in double chamber (S&T) string and tag, tea bags with individual foil sachet/envelopes. Supplied in 100 x - 2 g sachets. 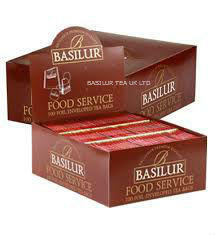 Net weight - 200 g.
Comes in an attractive branded box for extra protection and freshness. For more information about our HORECA catering services, please contact our Account Managers on - 0114 399 1109.